There isn’t much closet space in either of the boys rooms, especially Henry. Hunter’s room is a lil more spacious for dressers, toy box, shelves. 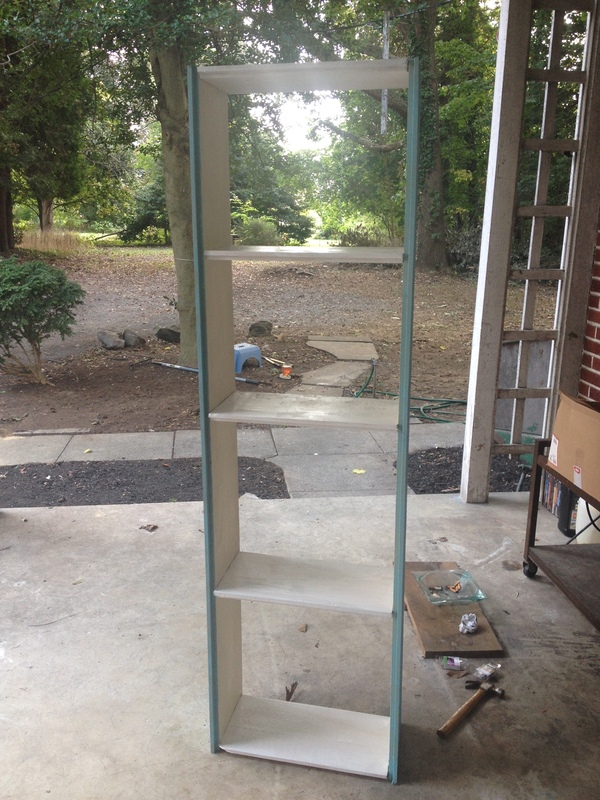 So we decided to make a tall bookshelf, while were at it might as well make one for each. I’m a fair kind of Mom. 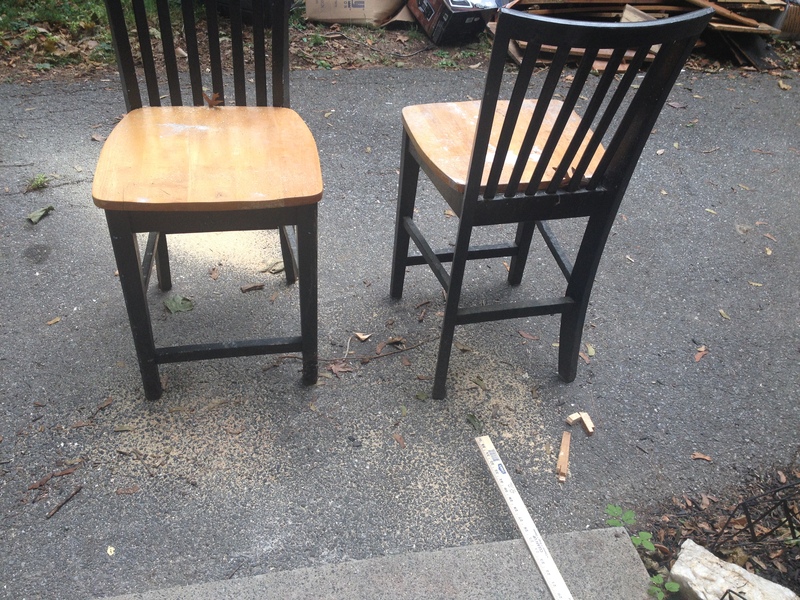 So we get together our resources: 2 bar chairs, a circular saw (craigslist $10), some 3″ nails, a yard stick, hammer, and some 2′ X 6′ wood we had layin around. 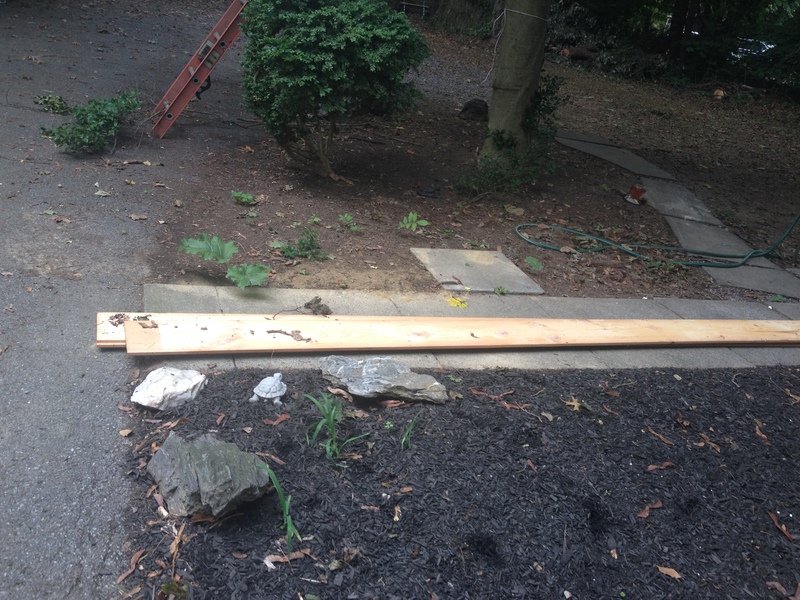 The wood my Hubby will be helpin me cut. 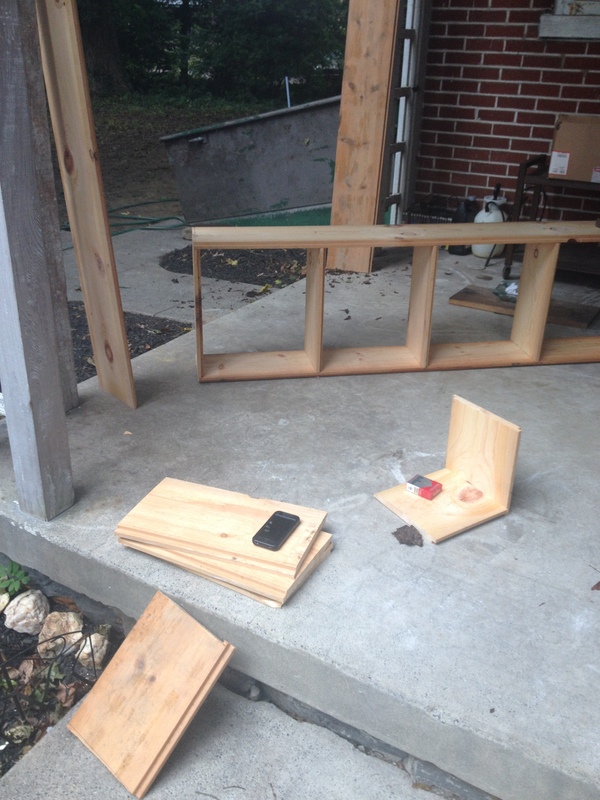 We used the chairs to help hold the wood while usin the saw to cut it. 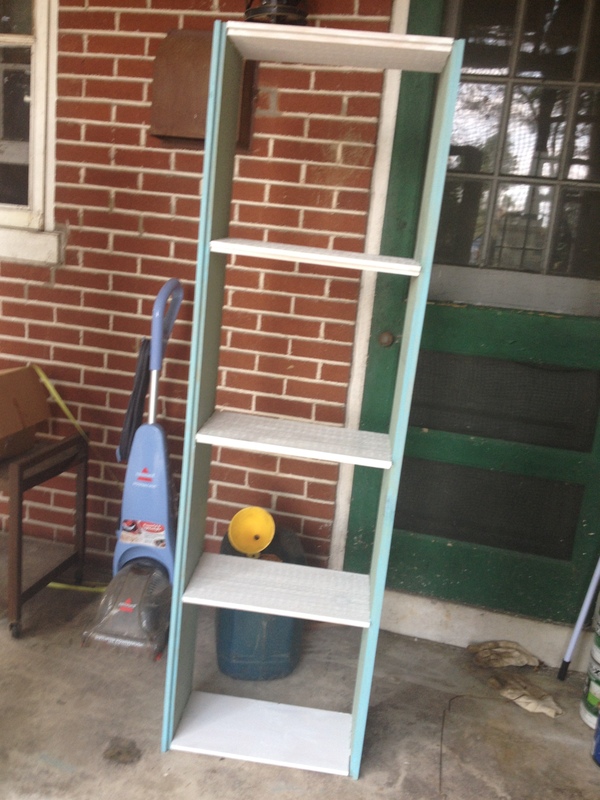 We made a few measurements for the shelves 1′ long and placed them 1′ apart. Placed 3 nails in each level on each side. After we got all the shelves and nails in I stood them up and painted each one according to their bedroom schemes. 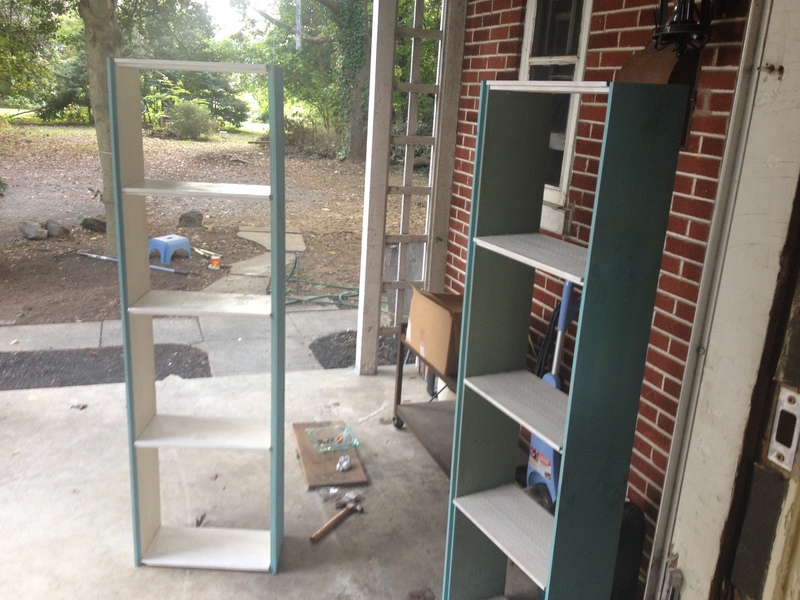 Hope you got a few ideas on how to start your own shelving. It’s not limited to books, our boys use them for xbox games, movies, to display figurines!